Hawaiian is a Western Australian based property group who's philosophy of uniting business and people is realised through close collaborations with some of Australia's top corporates as well as partnering with a range of community organisations and charitable groups. In addition to supporting the Hawaiian Ride for Youth as the naming rights sponsor since the Ride's inception 17 years ago, 2018 will be Hawaiian's 7th year as a Team Sponsor. Ansell Strategic is a professional advisor to the aged care and retirement living sectors in Australia. As a leader in the industry, who provide well-informed, strategic advice that enables our clients to improve performance, grow and diversify. 2018 is the first year of team sponsorship for Ansell Strategic. PM initially started by offering rehabilitation services to companies in Western Australia and has grown to become an international provider of employment, disability, assessment, health and injury management services in more than 400 locations across Australia, New Zealand and the United Kingdom. To date APM has assisted more than one million people. Arc Infrastructure is the manager and operator of WA's 5,500 kilometre open access, multi-user rail freight network extending throughout the southern half of Western Australia. Arc Infrastructure is delighted to be sponsoring the Hawaiian Ride for Youth for a third year in 2018 and have extended their support by sponsoring two teams. Avoca Insurance Brokers are an insurance brokerage and risk consultancy firm who operate in a number of industries and provide advice and arrange insurance in a number of product lines. Avoca have been a Team Sponsor since 2006. Azure Capital is a leading financial institution based in Perth, Western Australia, with services including corporate advice, capital raising and funds management. 2017 will be Azure’s seventh year as a team sponsor. Bellanhouse is a boutique, contemporary Western Australian corporate law firm offering a personalised approach, exceptional service and sophisticated, practical and commercial advice to domestic and international clients within the small to mid-cap markets. Budget Car and Truck Rental offers a wide range of quality cars, 4WDs and minibuses as well as Australia’s largest fleet of trucks and commercial vehicles. Budget first came on board as a sponsor in 2004 and became a Team Sponsor in 2005. They also generously supply support vehicles during the week of the Ride. Buswest is part of Australian Transit Group Pty Ltd, a quality assured passenger transport company specialising in transit services and solutions for governments, schools and businesses on a contractual and individual charter basis since 1981. 2018 is the first year of team sponsorship for Buswest. Citadel-MAGNUS is an independent investor relations and corporate communication firm with offices in Sydney and Perth, built on a reputation for delivering outstanding results for clients through trusted relationships, integrity and excellence. 2018 is their fourth year as a Team Sponsor. 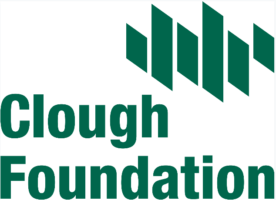 Clough is an Australian engineering and construction company who provides project delivery solutions to the Metals & Minerals industry, Infrastructure industry and Oil & Gas industry. They engineer, construct, commission, operate, and maintain facilities with a solid commitment to safety and sustainability, whilst optimising productivity and costs at every phase of a project. 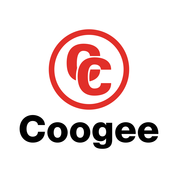 Coogee is a privately owned company and proudly Western Australian who produce a wide range of industrial, agricultural and mineral processing chemicals for supply to both the Australian and International markets. Detail is a boutique Marketing and Public Relations agency based in Perth Western Australia focusing on luxury, lifestyle, design, culture and the community. 2018 is the second year Detail are sponsoring a team in the Hawaiian Ride for Youth. In addition to supporting the Hawaiian Ride for Youth as the naming rights sponsor since the Ride's inception sixteen years ago, 2019 will be Hawaiian's 7th year as a Team Sponsor. HBF is a private health insurance company based in Perth, Western Australia. HBF is Western Australia’s largest health insurance provider and also offers general insurance products including life insurance, car insurance, home insurance and travel insurance. Channel 9 is one of Australia's oldest and most popular television channels and also host of one of Australia's most visited web sites. Channels NINE, Gem, Go and Life with NINE News, 60 Minutes, A Current Affair, Footy Show, The Voice and the cricket are but a few. Kitchen Warehouse understands that cooking is about so much more than just preparing food. Planning and sharing a meal, no matter how simple, is a celebration of life, a timeless tradition that feeds the body and soul. With 16 stores around Perth, Kitchen Warehouse offers Australia's biggest range of cookware from the world's leading brands. 2018 will be their fourth year as a Team Sponsor. KPMG is one of the world’s leading professional service networks specialising in Audit, Tax and Advisory services. 2018 will mark their seventh year as a Team Sponsor. Based in Perth, Western Australia, Linc Property is a developer and owner of industrial and commercial property. Linc has a strong focus on risk management and always seeks to reduce it wherever possible at the outset of a project. 2018 is the first year as a team sponsor for Linc Property. 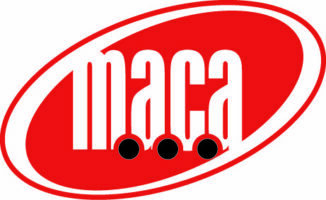 MACA is a mining and civil construction company offering contract mining, civil earthworks, crushing and screening and material haulage solutions. 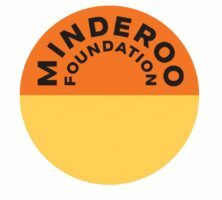 Minderoo is proudly Australian encompassing the philanthropy of the Minderoo Foundation and the private business holdings of the Minderoo Group. We believe that through business, we can achieve catalytic philanthropy driven by measurement, sustainability, collaboration and prevention. Morgans is Australia's largest national full-service stockbroking and wealth management network, with more than 240,000 client accounts, 500 authorised representatives and 950 employees operating from offices in all states and territories. Murdoch University has a national reputation for excellence in teaching, research and student satisfaction with more than 22,000 students and 2,000 staff working together, exploring new ways of thinking and making discoveries. 2018 is their fourth year as a Team Sponsor. Office Solutions IT provide IT services to small and midsize businesses in Australia which are designed to help people do business better. These services are designed to help businesses achieve their goals and potential. 2017 is the first year as a Team Sponsor for Office Solutions IT. Perrott Painting is the largest Western Australian owned painting company and offers a range of quality services. Shadforth Financial Group is one of Australia’s leading privately-owned financial advisory firms and their aim is to help clients generate and maintain wealth over time by providing quality financial advice and best of breed solutions and services. 2018 is their seventh year as a Team Sponsor. Steinepreis Paganin is an independent corporate and commercial law firm based in Perth, servicing local, interstate and overseas clients. 2018 will be their seventh year as a Team Sponsor. Synergy Consulting brings together a network of independently operated businesses within Western Australia and South Australia. 2019 is the second year as a team sponsor for Synergy Consulting. 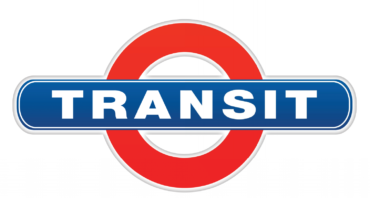 Transit Clothing began supplying a great range of casual clothing, footwear and accessories to the people of Perth back in 2005. From very humble beginnings the business has grown to where it is today with 9 stores across the state of Western Australia. By searching the globe for the best fashion trends, Transit stays ahead of the pack, bringing these trends to you first to ensure you are looking your best. WAPHA’s primary objective is to improve health outcomes and patient experiences through the commissioning of appropriate services where they are most needed. WAPHA applies a systems approach, considering the ‘whole’, not just the individual or small parts, of the health and social care system. 2018 is the first year as a Team Sponsor for WAPHA. From its origins in 1914 as a Western Australian farmers' cooperative, Wesfarmers has grown into one of Australia's largest listed companies. With headquarters in Western Australia, its diverse business operations cover: home improvement; office supplies; department stores; and an industrials division with businesses in chemicals, energy and fertilisers; and industrial and safety products. Wesfarmers is one of Australia's largest employers with more than 100,000 employees and has a shareholder base of approximately 495,000. The primary objective of Wesfarmers is to provide a satisfactory return to its shareholders. Western Surgical Health is the home of Perth’s prominent weight loss and general Surgeons, Physicians, Specialist Dietitians, Sports Physiologists and Psychologists all at one location. In addition, we also offer regional consultations for Weight Loss and General Surgery at the Great Southern Specialist Centre in Albany and at Murray Medical Centre in Mandurah. Global Cabling have been a Specialty Jersey Sponsor since 2005. Office National Canning Vale (ONCV) is a wholly owned West Australian company, operating since 1999. They employ locally, support local businesses and local charities, but service a national customer base providing deliveries into every state in addition to Perth and its surrounds. Since establishment, ONCV has developed a vast client base supplying office consumables, stationery, office equipment, furniture, workwear, kitchen and cleaning supplies and pretty much anything you may need in your business. Office National has been a Specialty Jersey Sponsor since 2013. We are a community pharmacy located at the entrance to St John of God Bunbury Hospital, Western Australia. We’re open to the public and provide the usual services expected of a local pharmacy as well as clinical services to patients admitted to the hospital. Additionally, we provide advanced pharmaceutical practice through the supply of chemotherapy and other sterile preparations from our on-site compounding facility. Aussie Natural Spring Water is 100% Western Australian owned and operated. As your local Perth spring water company, we know bottled water and we know WA, so the next time you need fresh, clean WA water come to the experts – Aussie Natural Spring Water. Aussie Natural place a strong importance on giving back to the community and are excited to be involved with the sponsorship of many local events and organisations around Perth and regional WA. As a locally owned Perth Spring Water Company heavily involved in several community initiatives, we take pride in being able to contribute to initiatives which help make WA a great place to live and work. Aussie Natural sees sponsorship as an opportunity to build relationships with stakeholders including customers, industry and the community in which we operate. Aussie Natural Spring Water- 100% Western Australian owned and operated has provided water for both official Rider Events and Ride week since 2013. Budget first came on board as a sponsor in 2004 and became a Team Sponsor in 2005. In addition to being a Team Sponsor Budget have generously supplied the Support Crew Vehicles for each peloton since 2004. Since 2012 Gage Roads Brewing Co and been the official supplier of beer for all official Hawaiian Rode for Youth events. Humaan is a Perth-based digital agency, creating websites, apps, e-commerce solutions and software for brands throughout Australia and around the world. As a team of creatives and makers, with a couple of bike lovers of our own, we’re no strangers to the issues Youth Focus helps young people overcome. We’re excited to be contributing to the cause. Humaan are proud sponsors of Hawaiian Ride For Youth, having designed and developed the all new website - one of our most complex and ambitious development projects to date. Trench Health and Fitness have been providing comprehensive corporate health assessments and programs since 1995, building an enviable reputation as one of WA’s leading corporate health specialists. It is our vision and passion to provide innovative health and wellness programs in order to facilitate change. We are about partnering with companies to help improve the health and wellbeing of staff. We are not just about delivering a service, we aim to help our clients make lasting lifestyle changes through coaching and motivation over time.